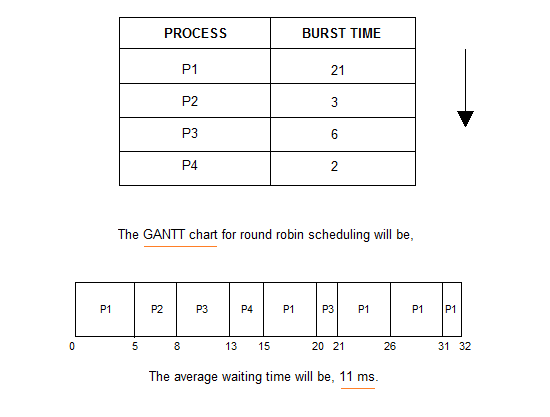 A fixed time is allotted to each process, called quantum, for execution. Once a process is executed for given time period that process is preemptied and other process executes for given time period. Context switching is used to save states of preemptied processes.